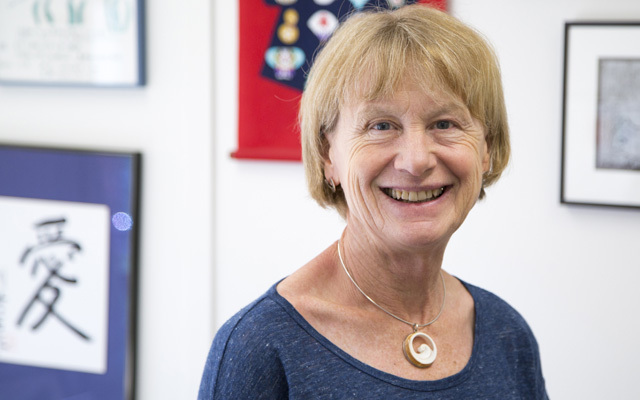 Jane C. Burns, MD, director of the Kawasaki Disease Research Center at UC San Diego School of Medicine. Researchers used a case-control approach, including children recruited in hospitals in the United Kingdom, Spain, Netherlands and U.S., with KD or similar illnesses. The majority of study participants with KD came from Rady Children’s Hospital-San Diego. The overall study group comprised 404 children with infectious and inflammatory conditions (78 KD, 84 other inflammatory diseases, 242 bacterial or viral infections) and 55 healthy controls. Incidence rates in the U.S. are lower —19 to 25 cases per 100,000 children under age 5 — but it is rising, at least in San Diego County. Predictive models estimate that by 2030, 1 in every 1,600 American adults will have been affected by the disease. Co-authors include: Victoria Wright, Jethro Herberg, Myrsini Kaforou, Hariklia Eleftherohorinou, Hannah Shailes, Stephanie Menikou, Stuart Gormley, Maurice Berk, Lachlan J.M. Coin, Clive Hoggart and Michael Levin, all at Imperial College London; Chisato Shimizu, Adriana Tremoulet and John Kanegaye, all at Rady Children’s Hospital-San Diego; Anouk Barendregt and Taco W Kuijpers, University of Amsterdam; Long Truong Hoang and Martin Hibberd, Genome Institute of Singapore; and Mary Glodé, University of Colorado School of Medicine. Funding came from the Imperial NIHR Biomedical Research Centre (DMPED P26077, WMNP_P69099), Javon Charitable Trust, Children of St Mary’s Intensive Care Kawasaki Disease Fund, NIHR Senior Investigator award, Gordon and Marilyn Macklin Foundation grant, The Hartwell Foundation, The Harold Amos Medical Faculty Development Program/Robert Wood Johnson Foundation, Stinafo Foundation, Academic Medical Centre Amsterdam MD/PhD program and The Wellcome Trust (206508/Z/17/Z).